Creamsicle Marshmallow Jell-O Salad: Orange Jell-O, cream cheese, vanilla ice cream, Orange Cream soda, Cool Whip, Mandarin oranges, and marshmallows make up this addictive Jell-O salad. I’ve been obsessed with them lately. Plus this one comes as a request from a reader. I got a message after I posted the Cherry Coke Float Jell-O Salad . They said they were surprised I didn’t make a creamsicle one. Which I took to mean that they wanted me to make a creamsicle one. It makes sense because I have been on a creamsicle kick as of late. Just like with the Cherry Coke Float flavor, adding vanilla ice cream really does add something to the salad. If you can’t find an orange cream soda, I suggest using 1/2 cup orange soda (like Sunkist) and 1/2 cup cream soda. Be sure to drain your mandarin oranges well as you do not want the extra moisture in this salad. 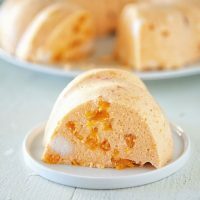 If using the Bundt pan, I suggest dipping the pan in warm water for a few seconds to help release the Jell-O mold easier. Or skip that hassle and just make it in a 9-x-13-inch pan. This salad is light and airy and would be great for any gathering. 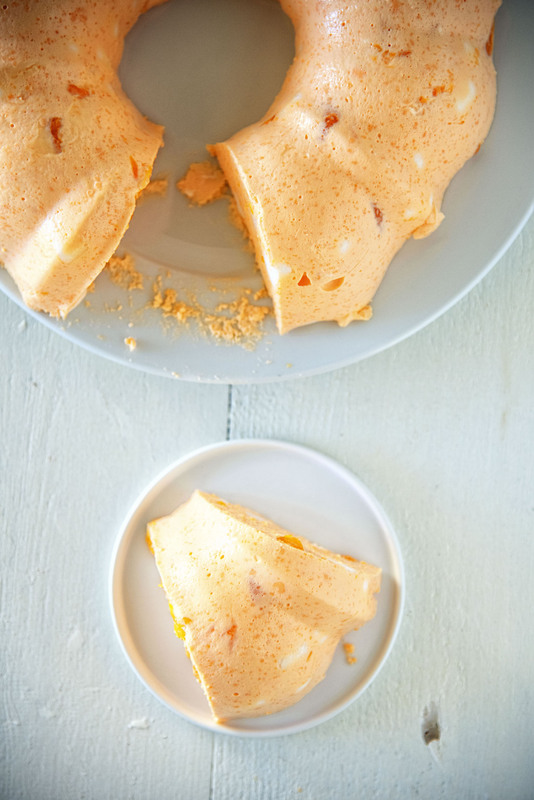 If you are a creamsicle fan this is for you. In a mixing bowl, beat the cream cheese and vanilla ice cream until fluffy. Stir in Jello and beat until smooth. I usually put it in the blender to fully mix. Add the Orange Cream soda and mix until incorporated. Chill the mixture in refrigerator for about 30-40 minutes, so that when you lift it with a spoon it is clumpy. 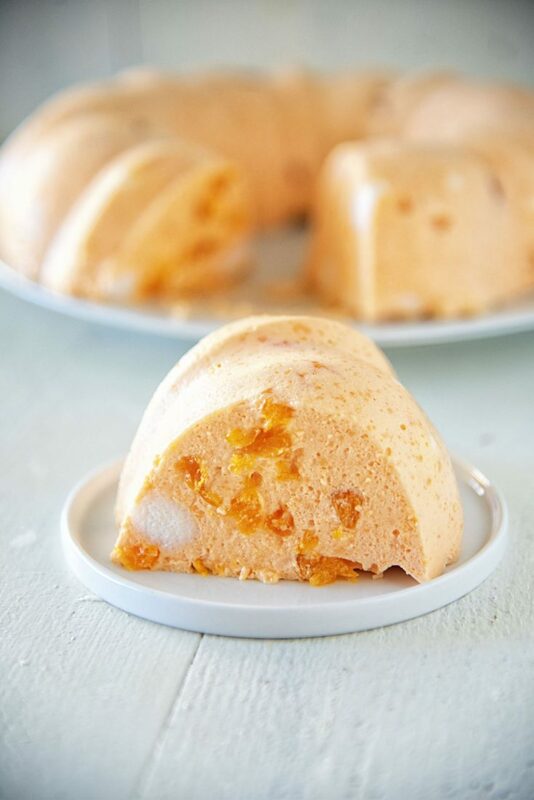 Fold in the Cool Whip, mandarin oranges, and mini marshmallows. 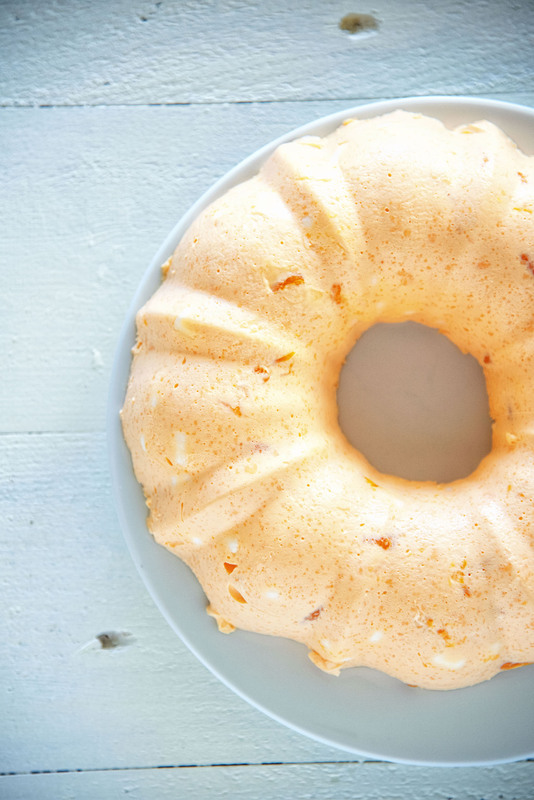 Pour into a 9-x-13-inch pan or Bundt pan. If serving in pan, will make about 16 squares for 9-x13 pan or about 8 for a Bundt.